It’s the fourth week of our football position breakdown series. 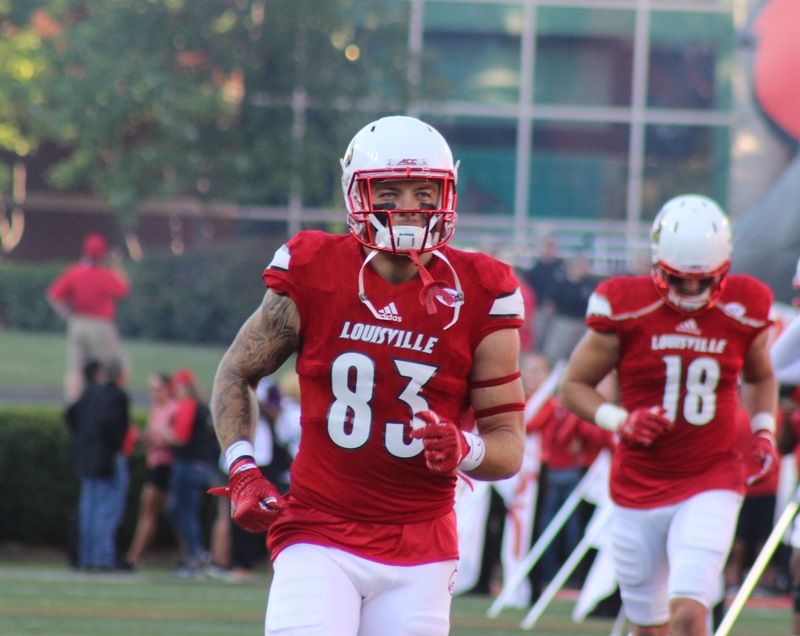 Last week we looked at the receivers and now it’s time to look at the Cardinal tight ends. With Cole Hikutini now playing for the San Francisco 49ers, Louisville needs a new target to replace Hikutini’s 50 receptions for 668 yards and eight touchdowns. Standberry has played in 37 games out of 39 for the past three seasons, but only has 174 career yards. Never receiving much of the spotlight, Standberry has the chance to have a career season. He pulled in 76 yards on five receptions in the spring game. Standberry has been lost in the shuffle during his time at U of L and has worked as a role player. His weight has fluctuated during his time at U of L, but now settling around 240 lbs., Standberry should finally have confidence playing at a heavier weight. Once showing promise as a very physical tight end, Crum was plagued with injuries last season and did not contribute much to the offense. He played in nine games but only caught one pass for seven yards in the season opener versus Charlotte. During his sophomore season, Crum appeared in 12 out of 13 games. He had six starts, catching 14 passes for 163 yards and three touchdowns. An athletic and aggressive tight end, Crum must expand from his sophomore form to give U of L options. Davis transferred from Texas A&M and sat out the 2016 season because of transfer rules. In his single season, the Houston native played in 10 games. Davis was rated a four-star recruit by ESPN and the seventh best tight end in the 2015 class. At 6-foot-4 and 260 lbs., Davis is a load to bring down and his big body shields defenders away from the ball. He won’t pull away from in a sprint, but Davis’ size and strength will grind down defenses. Averett is a three-star recruit that held offers from Auburn, Illinois and Indiana. Standing 6-foot-7, Averett must add weight before expecting playing time. Averett has potential to be a great receiver if he can bulk up, showing promise with 1,188 total receiving yards and 16 touchdowns in high school play. Cummins chose Louisville over Western Kentucky and Southern Miss, but didn’t see any field time as a freshman. From Stevenson, Alabama, Cummins still needs to develop physically, 225 lbs., before getting playing time. One of the two senior tight ends, Polston was a walk-on from Louisville’s St. Xavier High School. He serves mainly as a practice squad player for the Cardinals. Previous Which players must have big years for football to have a successful year?